Having suffered from chronic acne for over a decade, Michelle Doherty’s discovery of Alpha-H transformed not only her skin, but her entire life when she subsequently bought the brand. 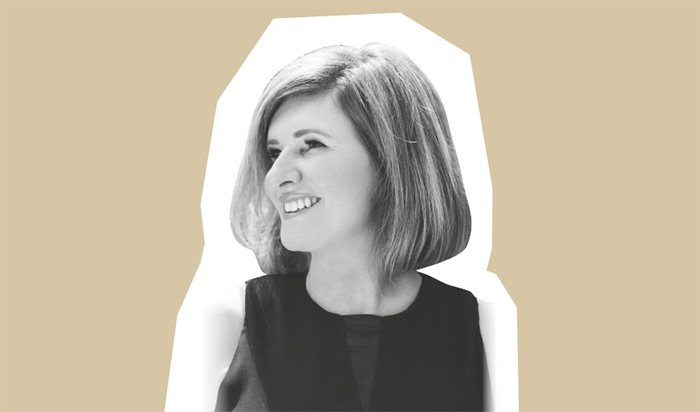 She talks to Emily Hunter about the transition from brand user to owner, the challenges of running a family business and the current UK skincare market. How were you introduced to the Alpha-H brand? Michelle Doherty: I was introduced to Alpha-H when it was in its infancy, with just two productsin the range. After a long battle with cystic acne and seeing no improvement with other market offerings, I tried the Balancing Cleanser and Balancing Moisturiser and saw results in a matter of days. This inspired me to work alongside and then purchase the company, expand the line further and create products that provide a solution rather than a ‘band-aid’ for specific skin concerns. 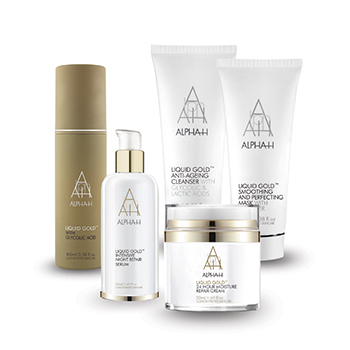 Today there are over 60 products in the Alpha-H range, including: the cult bestseller Liquid Gold, with a unique low pH glycolic formulation that compels stimulation in the lower skin belt for rapid transformation; the technologically advanced Liquid Laser to help counter biological ageing; and the award-winning Protection Plus Daily SPF 50+ for preventative ageing. How did you make the journey from brand consumer to owner, and what were the biggest lessons you learnt along the way? MD: I saw a gap in the market for multitasking products that provide solutions for skin concerns, and I was prepared to jump in and take a risk. As groundbreaking as the range was, people were concerned with the thought of putting ‘acid’ on their faces, so we had to change perceptions and educate on the importance of challenging the skin to get results. Competing against giant multi-nationals with huge advertising budgets meant we had to learn how to leverage our points of difference. Building brand love and forming close relationships with our customers have been key, in addition to creating products that deliver outstanding results. Do you think the medical profession takes problem skin seriously enough and how does this affect the beauty industry? MD: I think the medical profession tends to underestimate how debilitating problem skin can be and I personally would like to see them encompass every aspect of the problem, rather than just writing a prescription. A more holistic external and internal approach is needed that is not just concerned with the infection. This presents a huge opportunity for Alpha-H to fill the gap, hence our award-winning Clear Skin Range was born. Today we receive thousands of letters from people whose lives have been changed by using this collection. Your husband Dean and three daughters all work alongside you at Alpha-H. What are the mainbenefits and challenges of running a family business? MD: It’s great being able to work alongside my loved ones on a daily basis, although there are some challenges. It makes it hard to have a healthy, balanced home life as work is always brought through the door. My daughters have found that they have had to prove themselves as employees for their peers to accept them and break down that perception of ‘entitlement’. Alpha-H formulas eschew unnecessary thickeners, fillers, fragrances and colours – what are the benefits of doing so? MD: Leaving out these unnecessary ingredients means that we are able to deliver higher concentrations of active ingredients, which allows us to be more innovative with packaging and use fewer preservatives. We are also able to manipulate the skin’s response with a low pH delivery system, which Liquid Gold is famous for. Because of this delivery system, the formula can penetrate the skin more deeply to achieve immediate results of increased moisture, improved texture and decreased wrinkle depth. Your heritage is as a professional brand, but how important is consumer retail? MD: The professional and retail channels are absolutely equally important to our success. In order to maintain the standard of a professional brand, we invest heavily in qualified skin therapists on the shop floor to consult with customers, deliver treatments and give advice. As our formulas are more intensive and alter the behaviour of the skin, it’s paramount that customers get professional advice and the right products to achieve the best possible results. How do you ensure you keep the brand at the right size and in the right number of doors? MD: We want to be accessible to consumers without diluting the brand. In addition to assessing retailers for the right fit, it’s important that we work with key doors that value and respect the Alpha-H brand. Our brand and the retailer have to complement each other and the product line-up has to be able to fill a gap. We are very selective about what we choose to sell in each retailer, handpicking products that will meet the demographic without compromising our other retailers by oversupplying. We ensure that the retailers are aligned with our values, business model and strategy while also looking for the best outcome for the consumer. It’s crucial to look at it from a customer perspective and think about how they will experience the brand in-store, while assessing the overall fit. What are your views of the current skincare market in the UK? MD: The UK market is open-minded, unguarded and respects honesty, which is why Alpha-H fits so well within this sector. We love that the UK holds Australian brands in high regard, and is so receptive to the brand love that we have built. In an overcrowded market dominated by multinationals, the UK consumer is prepared to give a smaller brand a go, and that gives us a chance to prove ourselves as leaders in preventative and corrective skincare. In addition to innovative formulas, Alpha-H has made some significant breakthroughs in product packaging – how have these come about? MD: It’s sometimes difficult to find the right balance between aesthetically pleasing, effective and functional. Our formulas sometimes dictate our packaging; for example, our vitamin serums need to be protected from heat and light to preserve their potency and because they contain minimal preservatives. The innovative outer packaging acts as a kind of thermostat, ensuring that the antioxidants are maintained at a constant temperature while being shielded from environmental aggressors. The UV-coated outer casing also allows us to use fewer preservatives as the formulation is protected from degrading UV rays. MD: Our production is in overdrive, and in the future, we are planning a custom-built manufacturing facility to cope with increasing demand, which is very exciting and a marker of how far we have come as a brand. I envision expanding the brand further globally so that our products are accessible to anyone wanting to obtain clinical-level results from the comfort of their own home. Because of demand, we can no longer deny the call to tackle the giant US market, which will see our products being stocked in cosmetic spas and department stores, while also expanding further in the Middle East.